I understand and acknowledge the amount of time, energy, and resources you have invested in finding the perfect venue, stunning dress, and flawless rings. Creating a perfect wedding that fits you is everything. Selecting a perfect package that best meets your needs is an essential component in creating that perfect wedding. Below are a range of 3 wedding packages of which any is a suitable fit for the most modest wedding to the most luxurious wedding. All of the wedding packages are customizable. Wedding Packages range from $1600 - $3500. If there is something that you are interested in please don't hesitate to ask. 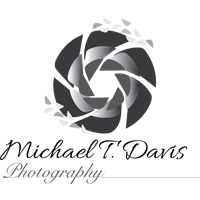 "From the moment we saw examples of Michael's work and read reviews, we were so excited to have him photograph our wedding. Michael is a true professional and we loved working with him -- at the end of our wedding he and his team felt like they were part of our family. The photos he was able to capture are not only stunning but also incredibly touching and genuine. That was one of the things that was so important to us--sometimes wedding photography can feel overly stylized but not with Michael. He was able to capture beautiful candid moments so when we look at our photos we get to relive our best day ever. He was flexible, responsive, and there for us when we needed help wrangling family members on what was brutally hot summer day."